The Clean Show’s Comin’ to Las Vegas, June 5-8th, and we’ll be in Booth 2279! Every two years the commercial laundry industry gathers in one place for the world’s largest exposition in the industry. 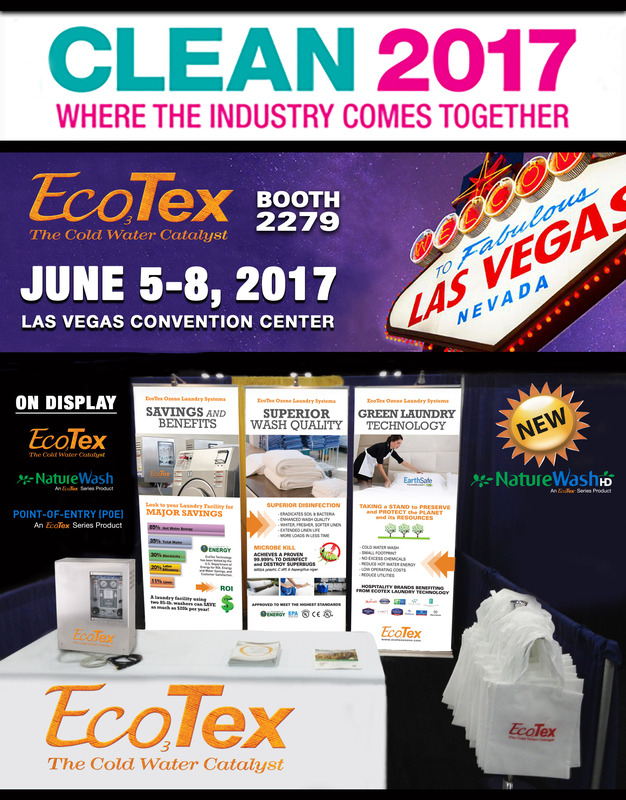 ClearWater Tech will be in booth 2279 showcasing their family of EcoTex Ozone Wash Systems including, the POE12 skid mount, for multi-housing and coin-op, the NatureWash, for semi-commercial laundry facilities, and debuting the NEW NatureWash-HD for small commercial laundry facilities. More information about the show here….